New Visitor Centre Construction Update: The Roof is Up! 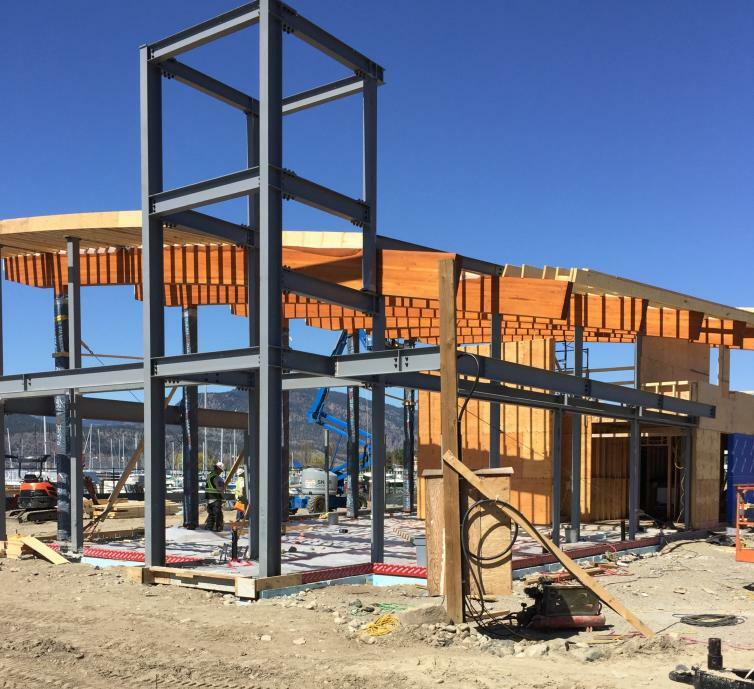 With the arrival of spring, progress on the new visitor centre construction project continues and the pace is picking up for a mid-2018 opening. As more residents and visitors walk, jog, and bike along the boardwalk, Tourism Kelowna&apos;s visitor experience team will soon be on site to share information on what to do in Kelowna and area and answer questions about the new visitor centre. The mezzanine, washrooms, and inside rooms are nearing completion. Next up is pouring the concrete floor slab and roofing work. Further work on the building&apos;s signage and mechanical systems is also underway. Landscaping work through a City of Kelowna contractor is set to begin soon. During construction, an environmental consultant is performing environmental monitoring and there have been no issues to report. 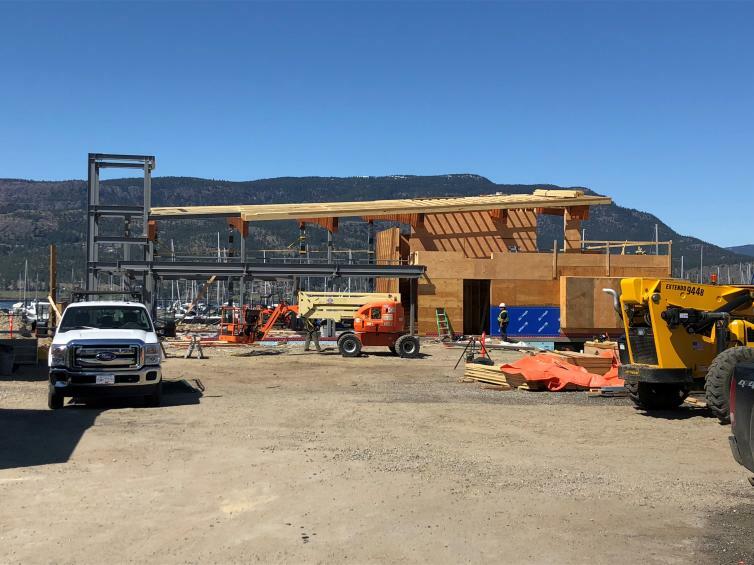 The construction team continues to work hard to bring this project in on time and on budget, and we&apos;re appreciative of the architects, project managers, contractors, and trades that are working together on this important project for Kelowna and the Central Okanagan. 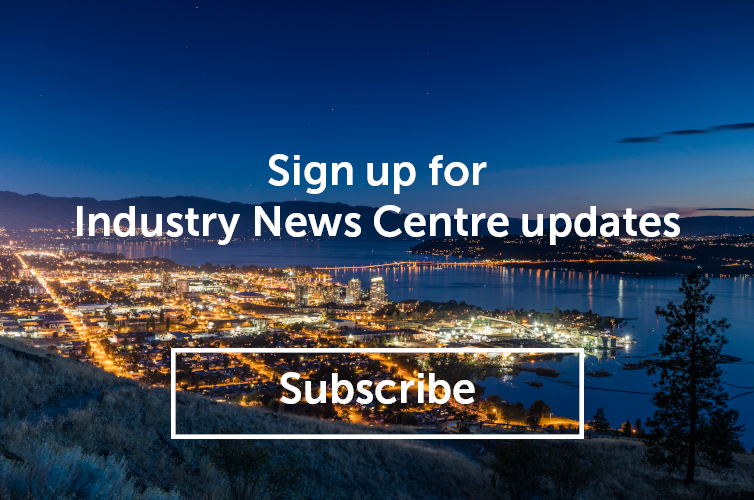 We&apos;re looking forward to welcoming residents and visitors to the new visitor centre this year, and we are excited about the additional impact to local tourism businesses and the overall experience visitors to Kelowna and area that will occur when it opens.